When it comes to building an impactful online presence, there are several crucial factors that will build a strong foundation for your business and brand identity. One of the most important is your website design. Did you know that bad web design can undercut your business efforts just as good web design can take you to a whole new level of success? It’s true, especially if you have built your website to speak specifically to your target audience. Good web design leads to a better experience for users on your website, and a better user experience helps encourage visitors to take the actions you want them to take. This means more business and more revenue for you! Below, we’ve highlighted some of our latest WordPress website projects. If you aren’t happy with your website design, then our WordPress experts can help! 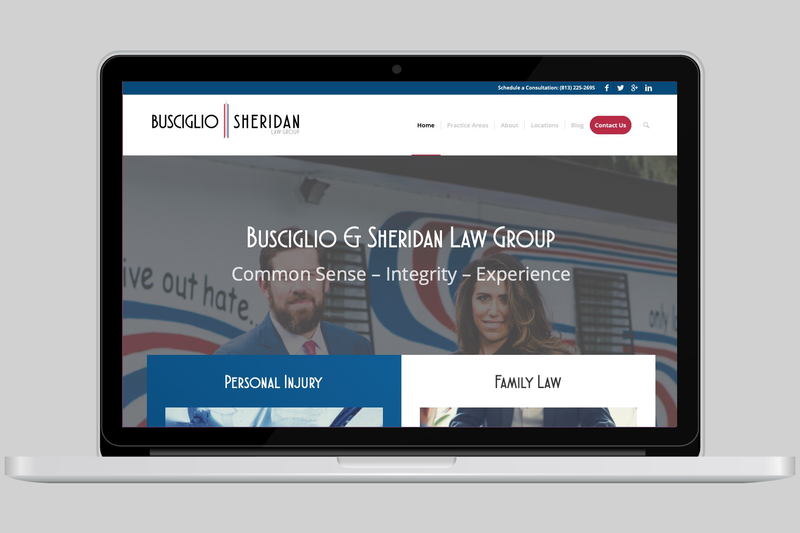 Busciglio & Sheridan Law Group is helmed by former prosecutors with over 30 years combined experience representing individuals in personal injury and family law cases in Tampa Bay. Josh Sheridan and Dina Busciglio take great care to provide each of their clients with the personalized experience they won’t get from larger firms. Their attorneys will develop a legal strategy tailored to your specific needs, whether it be a personal injury claim or family law dispute. 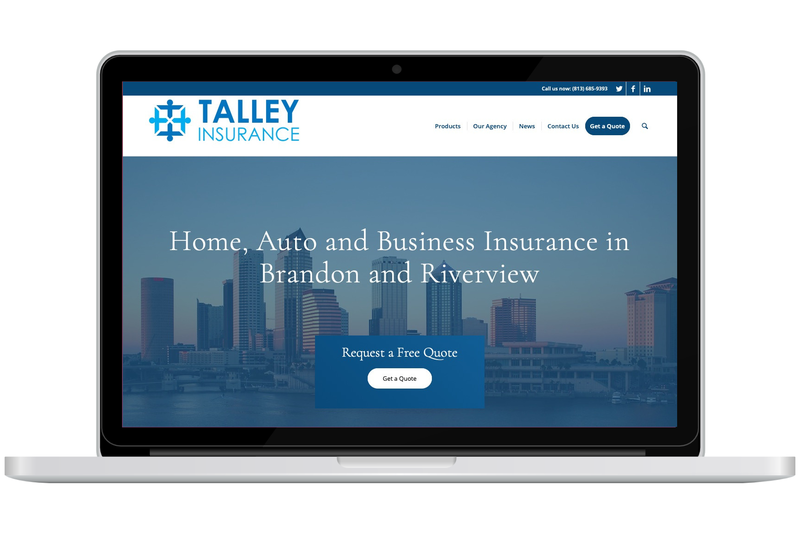 Charles D. Talley Jr Insurance, Inc.
Charles D. Talley Jr. Insurance Inc. is a family owned and operated agency located in Brandon, Florida. Their agents have dutifully served individuals and local businesses for 35 years and they are committed to providing their clients with the best possible insurance coverage and rates. They work with more than 25 carriers, which means they can find you comprehensive coverage for the most competitive price available; whether you are looking to protect your business or family in Florida. Restoring Wellness is run by Jaimie Mickey, M.D. and they offer exemplary primary care to patients in the Largo, Florida and surrounding areas. They help our patients strive to maintain optimal health while preventing future illnesses and diseases. Good digital marketing is challenging and our team of problem solvers loves taking on a new challenge. Below you’ll find 3 case studies that highlight what we have done for previous clients and what we could do for your business if you are interested in working with us. Located in North Carolina, Blue Ridge Orthodontics brought us on to drive more traffic to their website. 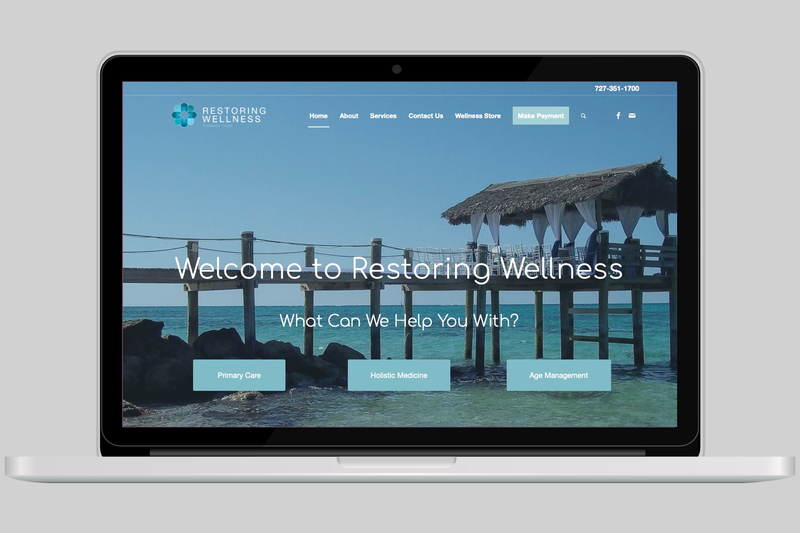 We implemented a local SEO strategy that drove significantly more qualified traffic and increased new patient consultation requests through the website. We worked with Accel Clinical Research to refocus their patient recruitment efforts and introduced a targeted local inbound marketing campaign to drive more qualified leads for their clinical research site (Avail Clinical Research) in DeLand, Florida. Our team got the opportunity to launch a new brand in 2018. The challenge was to promote a brand new product in a competitive industry. Our team helped launch the new website, develop an ongoing SEO strategy and build brand awareness for this client.